The immune response is an important factor in the progression of cancer, and this response has been harnessed in a variety of treatments for a range of cancers. 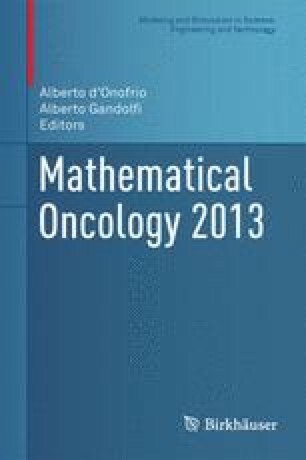 In this chapter we develop mathematical models that describe the immune response to the presence of a tumor. We then use these models to explore a variety of immunotherapy treatments, both alone and in combination with other therapies. Earlier, more detailed versions of much of the material in this chapter was published in [13, 14, 15, 16, 39, 47, 48]. A. Radunskaya was partially supported by NSF grant DMS-1016136.